3D printers are used by the medical practitioners to produce medical devices, and it represents a shift in the medical manufacturing industry because of its low cost and the small size printers are used to make the technology widely accessible. A related area of 3D printing called bioprinting involves printing the human tissues and organs. The increased applications in dentistry where it is used to fabricate customised dental implants on the spot and providing necessary solutions for the patients with various medical conditions are the key factors that boost the market. Asia Pacific Healthcare 3D Printing Market size is projected to reach approximately $3.43 billion by the end of 2024 with a CAGR of close to 24.70% during the forecast timeline 2018-2024. The significant factors that propel the growth of the Asia Pacific Healthcare 3D Printing Market are the increasing collaborations between academic institutions and companies to accelerate the process of product development, rising government investments on the research and development and also the extensive industrial base. 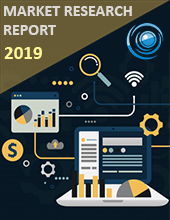 However high costs associated with printers, copyright & patent infringement concerns, unfavourable reimbursement policies and even limited technical expertise are the major factors that hamper the growth of the market. Asia Pacific Healthcare 3D Printing Market is segmented by an application which is further segmented into surgical, implants and bioengineering in which implants holds the most significant share in the market due to the increasing demand for the implants and also these are cost effective and accurate. By raw material which is segmented into metals, polymers, and ceramics, polymers hold the most significant share in the market due to the high usage rates in printing bio-models. Technology segment is further segmented into a laser beam melting point, electron beam melting point, droplet deposition market, and photo-polymerisation market. By Geography, Japan witnesses the largest size in the market due to the advancement in the technology and also the implementation of the government initiatives on research and development. Rapid manufacturing is a new method manufacturing where companies are using 3D printers for short-run manufacturing. The by uPrint SE Plus 3D printer by Altem Technologies that relies on FDM Technology to build in real ABSplus thermoplastic, creating models and functional prototypes that are accurate. Bioprinting, a technique for 3D printing living tissue has led to the making of fully functional; artificial 3D printed organ.